Reiki practitioners face a double challenge: the credibility of Reiki practice and the credibility of the practitioner. Credibility is an obvious concern for Reiki professionals, but it is relevant for home practitioners as well. We want to feel proud of our practice, and we want to share with others. Meeting the credibility challenge is good for your self-respect. If you are a Reiki professional, being credible is also good for business. And the benefits of meeting the credibility challenge extend much further. Being a credible Reiki practitioner is a service to the practice, and to the community of practitioners who value a thoughtful, credible approach to Reiki — the kind of approach that helps people on the street take a second look at what Reiki practice might offer them and their families. Let’s explore what it takes to exude Reiki credibility. Here are four essentials to start the conversation. Nothing establishes credibility like years of experience, consistent self-practice, and a long list of accomplishments. 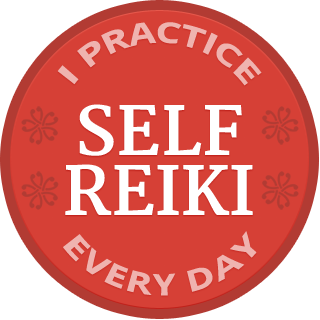 Additionally, years of daily Reiki self-treatment and clinical practice bring a depth of confidence and clarity that can’t be faked. But even a Reiki beginner can be a credible Reiki beginner. Just be upfront about your level of experience, tone down the enthusiasm so as not to overwhelm anyone, and find a seasoned mentor you can turn to as needed. Can You Stick with the Reiki Facts? Credible practitioners share accurate, factual information and document their sources. Folk tales are not credible, unless you are an expert in folk literature, and then you not only tell the story, you trace its history, etc. Many Reiki myths and folk tales have been circulated as fact and it damages the credibility of the practice. How can you tell what is credible information in this unregulated, non-academic field? While that is admittedly a challenge, you can look for clues in how the practitioner presents information. Does he/she make claims or document sources? Does the language seem exaggerated or is it carefully chosen? Being credible doesn’t mean having all the answers. Admitting what you don’t know builds trust and credibility. When a question that is new to you, admit you don’t know the answer, promise to find out, and then you follow through with your promise. 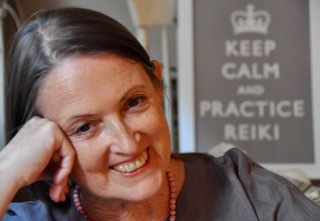 Do You Model the Gifts of Reiki Practice? An even temperament is essential for establishing credibility. We don’t want to have flat affect, but inappropriate emotion and defensiveness are unprofessional and unappealing, and make a bad impression. A credible practitioner is more than respectful of questions and other perspectives; he/she welcomes and anticipates them. A credible Reiki practitioner shares credible information respectfully so people can make their own informed choices; he/she doesn’t try to persuade the listener or sell the practice. Good listening skills are essential to establishing credibility. Everyone needs to feel heard, and when we listen, what we learn from others deepens our understanding. When we truly listen to others, we learn what matters to them — important if we want to serve them. We also learn how we are perceived, so we can tweak our presentation as needed. The best practitioners and teachers are perennial students of their practice and servants to their community. Keep listening to the people you serve, and they will keep teaching you how best to serve them. Please scroll down to the comment section to share what you look for in a credible Reiki practitioner. The Mainstreaming Reiki webinar recordings help refine your communication of various aspects of Reiki practice. You can download them and listen at your convenience. Please sign up for my free ReikiUpdates here! Gassho to you for your article. With so many Reiki canards, it is important to share factual history, etc . I was introducted to Reiki in the 1980s, then in the 1990s began completing various Master teacher levels Western styles of Reiki. I began teaching in 2002 after first completing Gendai Reiki Ho under a Reiki Shihan (teacher) that had studied under Hiroshi Doi. I went on to complete the update Reiki Shihan level directly under Doi Sensei and then on to complete my update Shihan in Komyo Reiki Kai under Rev. Hyakuten Inamoto; both men have only 2 teachers between themselves and Mikao Usui. I teach, practice, and live Japanese styles Usui Reiki Ryoho. I do not dishonor the memory of Mikao Usui by adding anything from other modalities into my Usui Reiki Ryoho practice. @ Anita, I self-treat daily but do not receive Reiki regularly from others, and in my experience many Reiki teachers do not. I’m curious about why you would include that. Thank you for presenting this to the Reiki community. I agree that all four are essential for developing a credible Reiki practice. I would like to add to the first one concerning length of experience. Be honest when reporting this. Do not use chronological years if you only practice now and then. It’s deceiving. Better to say, “I have been a Reiki Practitoner for four years doing weekend sessions”. The energy around your truth will support your practice. And doing self-practice everyday IS reportable. Good point, Lorraine, thanks for bringing it up. And I agree completely about letting people know we practice daily self-Reiki. I see daily self-practice as a deal-breaker when it comes to credibility. If a practitioner doesn’t value her practice and her own health and well-being enough to use it for herself everyday, why would I want to receive a treatment from her? I believe the above four tips are perfect for the Level I Reiki Practitioner. Once you get past Level I then I believe a Reiki Practitioner needs to demonstrate an earnest desire to be a student of life basically. A person that is striving to know themselves well through Self Reiki, Meditation and/or a strong Yoga practice. I believe a Reiki Practitioner has a person that may be considered a mentor that they can go to with questions. They also have a community of Practitioners they are connected to. A credible Reiki Practitioner may have a degree in counseling of some sort. And if not a degree then at least a mentor they are strongly connected with and may be meeting with on a regular basis. I believe a credible Reiki Practitioner also receives Reiki from others on a regular basis. A credible Reiki Practitioner is earnest in keeping their own energy field clear and is always focused on the outcome for the greater good.